It's Inauguration Day in America and President Elect Allison Taylor is celebrating a new beginning with the rest of the country. Meanwhile, Jack Bauer is on the other side of the world in Sangala, Africa, escaping from the memories of his past and evading a subpoena from Washington over charges that he tortured prisoners while at CTU. But when a violent revolution consumes Sangala, Jack is confron… ted by everything he's been running from. 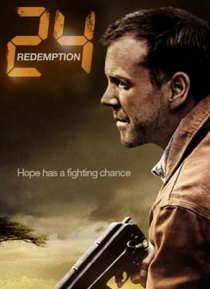 Download 24: REDEMPTION now and get 17 minutes of bonus footage not seen on TV!